Babblings of a Mommy: Deal Of The Day: Military Jacket. 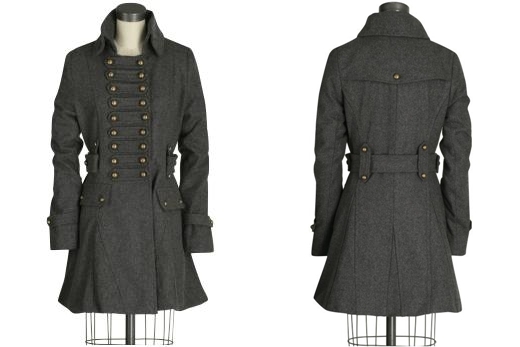 Deal Of The Day: Military Jacket. A-TEN-HUT! Piperlime has this Aryn K. double breasted military jacket originally going for $125, on sale right now for $49.97!! That's one serious steal, folks. It's going to be a looong winter too, so you'll get plenty use of it.